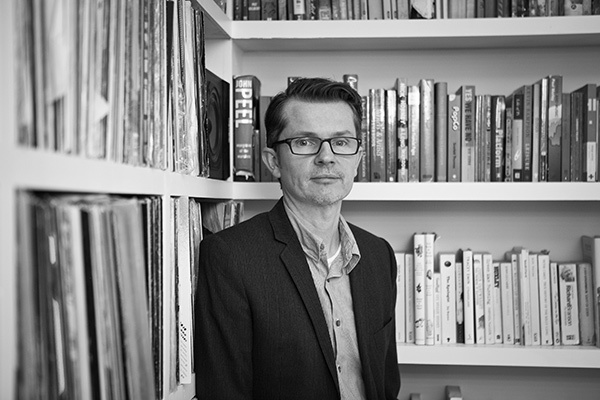 Music has a powerful effect on the mind and should not be an after-thought for brand experiences, says Rob Wood, creative director and founder of Music Concierge. Music has an extraordinary effect on human beings. Sound is our second-most important sense after sight. When we hear music nearly all of us are affected by it. It might annoy us. It might make us sad. It may delight us. Excite us. Make us cry. It might make us fall asleep, or indeed jump around the room like a possessed James Brown. It has an undeniably powerful effect in many different ways. Quite why it has such an impact on us is still the subject of hot debate. Scientists have pointed to a combination of evolutionary predispositions, along with anthropological and neurochemical factors. Music’s effect is certainly profound. It influences our emotions, and a basic example of this is how we might passionately love or hate a song or artiste. Different types of tracks can make us feel many different emotions – from music that makes you thoughtful and contemplative, to music that makes you let your hair down and feel carefree. Music also carries connotations and meanings that affect how we react to what we are experiencing. The most obvious example of this is cinema. Film directors and composers have put the power of music to good use for decades. A character walking down an alley is simply a character walking down an alley. But add pensive strings that build and add tension to the scene and the audience immediately knows to be alert for danger and prepared for a scare. The connotations and meanings that music conveys can even help us define ourselves. Certain artistes and music styles will speak relevance to a hip 20-something, while others will be a complete turn-off. There is an unwritten tribalism associated with music and its many scenes and sub-cultures. These distinctions need to be navigated carefully if a brand wants to be taken as credible. As well as touching our hearts and minds, music affects our bodies, for instance by relaxing or stimulating us. That’s why the music in a gym is upbeat and highly rhythmic, and why we don’t want to hear stimulating, beat-led music when having a massage in a spa. This too has relevance for brands in the way they might be looking to influence people’s behaviour. Those organising branded experiences can enlist the power of music. It can be used to build strong connections with customers, create immersive experiences and even influence what those customers do. Its effects need to be managed carefully so that it has a positive and beneficial impact on the brand experience. Yet it is amazing how often music and sound are an after-thought in branded environments. The truth is, customers experience a brand through sound whether you like it or not, so it needs to be chosen intelligently and managed well. Here are a few tips for doing this. Use music that fits with the brand position. That sounds obvious, but many get this fundamentally wrong. On a basic level, luxury brands should sound unique and out of the ordinary, while mass-market brands probably should not sound obscure or bleeding edge. Hip brands are likely to need to sound considered and in the know, rather than familiar or everyday. Brands need to be associated with music that will connect them to their audience. For example, Top 40 hits are unlikely to build loyalty with an audience for fine jewellery, whereas selecting music that immediately conveys beauty and heightens the emotional impact of the experience is likely to set a more favourable scene for a purchase decision, and sit well with an older, affluent audience. The music’s energy and density needs to be well thought-out. Music can add instant energy to a space. Is that energy appropriate? If you are trying to grab attention it may well be, especially if you are focused on a young demographic. But if the music is too musically dense (ie busy and complex) people may find it unsettling or confusing. Going back to the luxury jewellery example, that experience is far more likely to be engaging and successful if the background music is unhurried, relaxing and easily digested, while also sounding appropriately high quality and captivating. What’s more, the slower pace will encourage longer browsing, which is important if what you are selling is at a high-end price point where decisions take time. Finally, use music creatively to make your brand experience more immersive. Music is a wonderful art form that should tell a story and set the scene. There’s a whole world of music, eras and genres, as well as countless artistes and tracks to choose from, which can be curated to bring a concept alive. You may want to add theatre, sensuality, a sense of glamour or credibility to different types of concepts or campaigns. The right kind of inspiring music can achieve an emotional connection and change how people feel. The more emotive a campaign, branded space or experiential event is, the more likely the audience are to remember and talk about it. So why not avoid the predictable or cliched? See if you can surprise and delight your customers with the music you use. It’s a creative tool that can be activated across different touchpoints and combined with other mediums, such as digital screens or scent, to wow the senses. If it can help a brand find a place in people’s hearts, then it needs to be heard.